Core C.B.S.E. 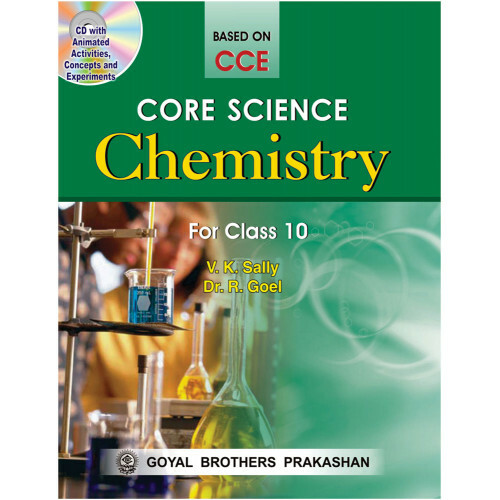 Science – Chemistry for Class X has been revised according to the guidelines given in CCE and the latest syllabus prescribed by the C.B.S.E., New Delhi.While preparing the book, our aim has been to promote understanding of the basic principles of Chemistry and at the same time retain its excitement. This student-friendly book teaches Chemistry in such an interesting and comprehensive manner that even an average student will have no difficulty in grasping the fundamental concepts of the subject. It also has enough material to meet the requirements of high achievers. Different types of numerical problems with solved examples which can be asked in the examinations. 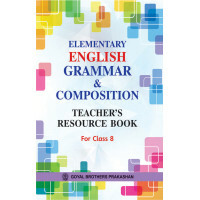 Round up at the end of each chapter gives brief summary of the concepts learnt in the chapter. 1. Exercise for Summative Assessment — It includes : (i) Multiple Choice Ques-tions (ii) Very Short Answer Type Questions (iii) Short Answer Type Questions(iv) Long Answer Type Questions. 2. Exercise for Formative Assessment — It includes : (i) Science Quiz (ii)Group Activity (iii) Visits (iv) Classroom Discussions (v) Demonstrations (vi) Seminars(vii) Charts (viii) Projects/Models (ix) Symposiums (x)Practicals. It is our earnest hope that the book will provide a meaningful way of learning the subject and thereby make the whole process of understanding Chemistry a joyful experience. It is also hoped that the book will meet the requirements of the students and the teachers alike. Learning Elementary Science Workbook for classes 6 to 8 have been designed to meet the specific need..
Goyals Assignments In Social Science For Class X For Term I & II..